Andrew Michael Bogut is an Australian professional basketball player who currently plays for the Sydney Kings of the National Basketball League (NBL). He previously played for Milwaukee Bucks, Golden State Warriors, Dallas Mavericks, Cleveland Cavaliers, and Los Angeles Lakers in the United States. He declared for the NBA draft and Milwaukee Bucks signed him in 2005 becoming the first Australian to be the NBA's first overall pick. Andrew Bogut was born on 28 November 1984 in Melbourne, Australia. His parents Michael and Anne were immigrants from Croatia. Bogut holds Australian nationality, Bogut grew up playing basketball, Australian rules football, and tennis. In 2002 and 2003, he competed in the South East Australian Basketball League. He played for U19 Australian junior national team and was named the Most Valuable Player of the 2003 FIBA Under 19 World Cup. In 2003-04, Bogut started as a freshman at Utah, where he earned CollegeInsider.com All-Freshman Team honors, Mountain West Conference Freshman of the Year, second-team All-Mountain West Conference, and NABC second-team All-District 13. Next season, Bogut won Mountain West Conference championship and was ranked 19th in the NCAA. Bogut became one of 31 Utah players to score 1,000 points in his career, and third to reach the mark in just two seasons. Bogut was named the 2004-05 National Player of the Year by ESPN.com and Basketball Times. He also earned Associated Press first-team All-American and leading vote-getter, becoming the 11th Ute all-time to earn All-America honors. He earned Naismith College Player of the Year honors and the John R. Wooden Award as well. In 2005, Bogut became the first Australian player and second Utah player to be drafted number one overall when he was selected by the Milwaukee Bucks with the first overall pick in the NBA draft. Bogut earned All-Rookie First Team honors and finished third in votes for the NBA Rookie of the Year Award in his debut season. Bogut set career-high scores during the 2007-08 NBA season with points (14.3), rebounds (9.8), blocks (1.7), steals (0.8), and minutes (34.9) per game. On 3 April 2010, Bogut broke his hand, dislocated his elbow, and sprained his wrist in a match against Phoenix Suns at Bradley Center. The injury kept him out for the remainder of the 2009-10 season. Bogut became the first Bucks player after Michael Redd (2003-04) to be named in All-Nba Third Team honors in 2010. Milwaukee Bucks traded Bogut and Stephen Jackson in exchange for Monta Ellis, Ekpe Udoh, and Kwame Brown on 13 March 2012. On 2 May 2013, Bogut became the first Warriors player with record-high 20 playoff rebounds since Larry Smith in 1987. With Warriors, Bogut won 2015 NBA Finals and reached 2016 NBA Finals. In both the Finals, Warriors faced the Cleveland Cavaliers. Warriors traded Bogut to Dallas Mavericks on 7 July 2016. Bogut made his Mavericks debut on 26 October 2016 against Indiana Pacers. Philadelphia 76ers signed Bogut on 23 February 2017 but was waived by the 76ers just after four days. Cleveland Cavaliers signed Bogut on 2 March 2017. Bogut broke his left 56 seconds into his Cleveland debut on 6 March 2017. He was ruled out for the remainder of the regular season and playoffs. Cavaliers waived Bogut on 13 March 2017. Los Angeles Lakers signed Bogut on 19 September 2017. Bogut made his Lakers debut in their season opener on 19 October 2017. Lakers waived Bogut on 6 January 2018. 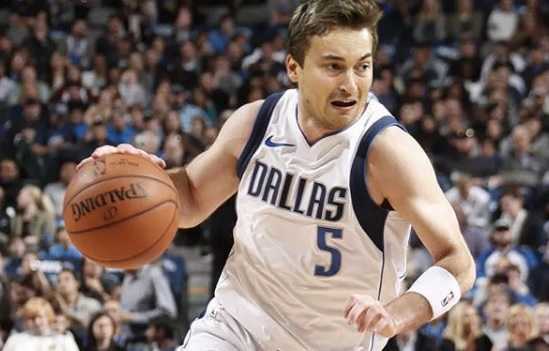 Bogut returned to Australia for the death of his Grandfather, Mile Bogut, as well as, his wife was diagnosed with high-risk pregnancy. 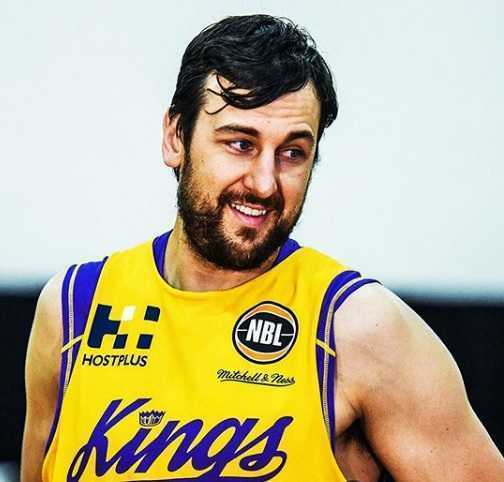 Bogut decided to stay in Australia and signed a two-year deal with the Sydney Kings on 24 April 2018. Bogut played for the Australian national team at the 2004 Athens Olympics, 2006 FIBA World Championship, 2008 Beijing Olympics, 2015 FIBA Oceania Championship, and 2016 Rio de Janeiro Olympics. Australia finished fourth at the 2016 Olympics, their best ever finish at the Olympics. Boomers finished fourth in 1988, 1996, and 2000 as well. Andrew Bogut is married to his longtime girlfriend Jessica O' Sullivan. Bogut likes to keep his personal life private. Before marriage, the couple dated for more than a decade. The couple has a child and Andrew stayed in Australia due to his wife's pregnancy. The couple is expecting a second child very soon. Andrew Bogut is 7 feet tall. His height favored him to become one of the basketball stars in Australia and the United States. He weighs 118 kg. Andrew Bogut is one of the most successful Australian basketball players. As of 2018, the net worth of Andrew Bogut is estimated at around $24 million. He has an annual salary of $13 million. He has played in NBA for Milwaukee Bucks, Golden State Warriors, Dallas Mavericks, Los Angeles Lakers from 2005 to 2018.